At the heels of all things odious (Brett Kavanaugh’s confirmation hearing, Hurricane Florence), it’s fitting that a designer would debut perhaps the biggest necessity of 2018: A transparent purse that can hold a champagne bottle. It’s what we need right now, and supermodel Gigi Hadid certainly gets it. Check out Hadid’s look below. If you ask us, there’s no better accessory than a sparkling bottle of rosé. The Business of Fashion 500 gala was held on September 9th in Brooklyn, New York. Among the high-profile attendees was comedian Tiffany Haddish, Bella Hadid, Jason Wu, and more. The event came during New York Fashion Week, and Hadid has had her plate full this season. The 23-year-old model walked the runway for designers like Ralph Lauren and Prabal Gurung. For Gurung’s spring 2019 show, it was quite the family affair—Hadid walked the runway alongside sister Bella and brother Anwar. As PopSugar explains, the clear Brandon Maxwell bag debuted during the designer’s NYFW collection. Maxwell took to Instagram to showcase Gigi’s vibrant lewk on September 12th, and noted the outfit is available to shop at Moda Operandi. 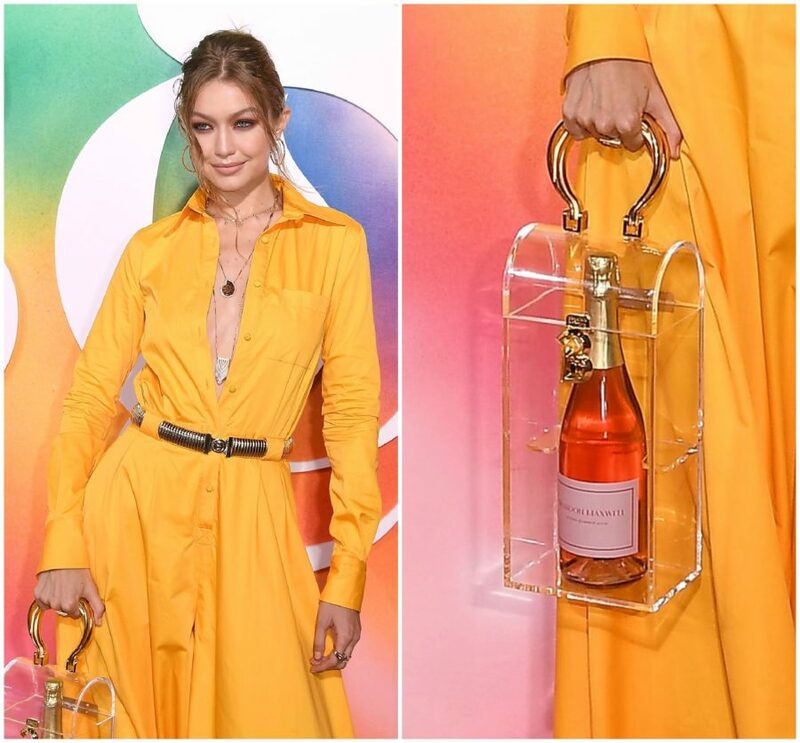 We cannot get enough of Hadid’s Brandon Maxwell purse and her pink champagne. Fashun.